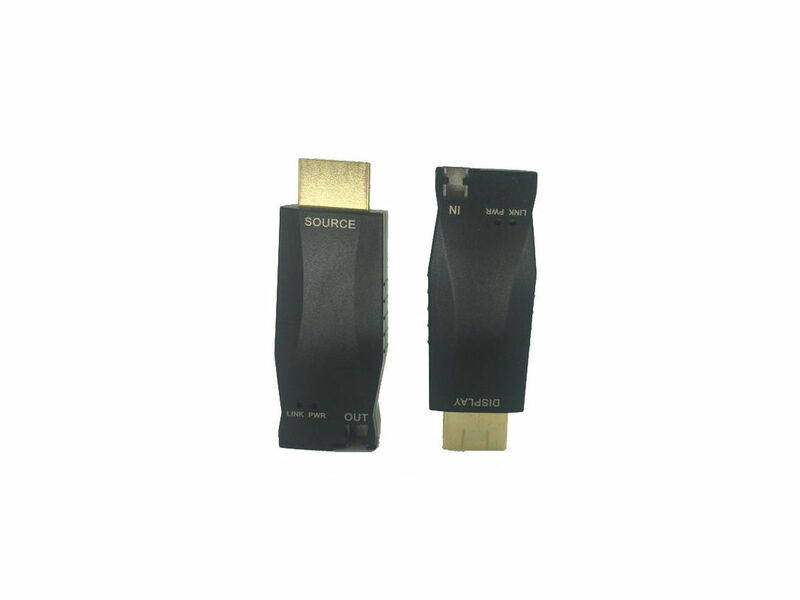 4K resotuion HDMI to fiber optic extender supports transmission of an uncompressed lossless HDMI 1.4a . Signal over multimode or single mode optical fiber , up to distances at 300m,at a resolution of 4Kx2K. Transmitter converts an HDMI signal to a single 10Gb/s serial data stream for transmission over single core optical fiber. Receiver converts the serial data back to an HDMI signal .